“I participated in an Influencer Activation Program on behalf of Mom Central Consulting for Kohl’s. I received a promotional item to facilitate my review. Will it be uniforms or regular clothing for your children for back to school? My children wear uniforms to school and if you should ask a question about uniforms vs regular clothing for school wear, you'll get a wide variety of answers and some emotional. I do not mind schools having uniforms. It cuts down on clothing being the center stage and enable learning and other things to be less challenging. However if I had to have regular clothing for my school aged children, I'd have love to have the option of choosing Kohls Jumping Beans: Jake And Sofia Summer Collection! These are my favorite pieces and I'd love to see my kids in them, especially that they love to see their favorite characters on their clothing! My daughter loves these! Even the color! 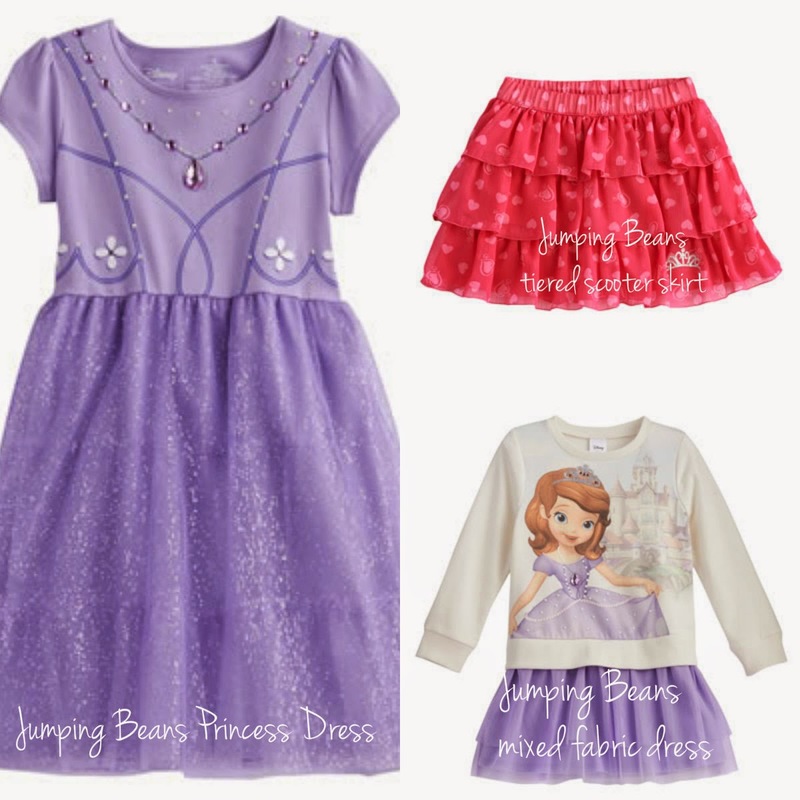 And of course she still says she wants to be a Princess when she grows up, so this is perfect for her wardrobe! If these sizes would fit my son, He would choose the blue set! He loves blue! I love how you can mix and match from sets and I also love that the clothing can easily be worn into fall and winter! Will your children be wearing Jake and Sofia on their first day back to school? My little guy loves Jake and the Neverland Pirates! I should grab him a shirt. I like the red puffer vest. My son loves to wear those. I like those too, especially for late fall. I adore that little girl's dress. It really looks like a easy way to feel like a princess! It looks like for us, it will be regular clothing, although I do prefer uniforms. How fun. We are in the uniform crowd but we like to then make their weekend clothes a bit more fun. And they already love Jake. So this is a win-win. These are so cute. 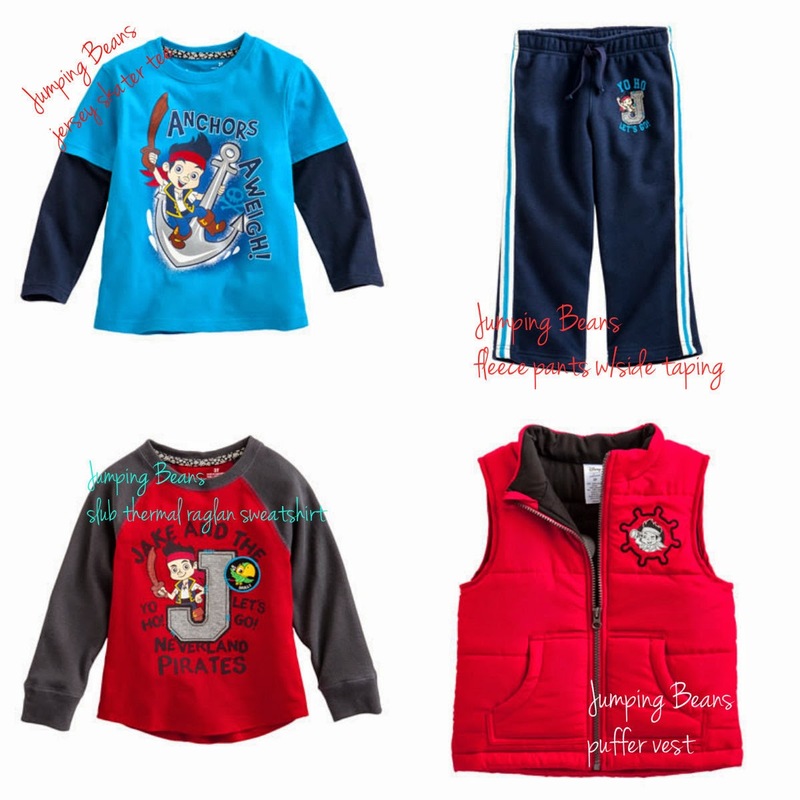 We love Jake and the Neverland Pirates. I wore a uniform and loved it but my kids do not. Uniforms are so much easier! Cute clothes--my daughter loves Sophia. My daughter is in LOVE with Sofia line at kohls! She wants one of each. I am loving these collections. My daughter loves Sofia and Jake. We love Jake the Pirate here in my house! These clothes are adorable.